Amit Shah supposedly assured them that the party would not only make it possible but would also increase the number of seats from 72 to 74 incoming in 2019. LUCKNOW: Alarmed over four back to back bypoll defeats owing to SP-BSP alliance in politically crucial state of Uttar Pradesh, especially, in the rune up to 2019, BJP chief Amit Shah called upon the partymen to pull up socks and target a vote share of 51 per cent to counter the impact of any alliance and to repeat 2014 in the big battle of 2019. Shah was addressing the social media workers of the party's IT cell at Deen Dayal Upadhyaya Trade Facilitation Center's at Lalpur here on Wednesday evening. As per the highly placed sources of BJP, the party chief asked the workers if they found SP-BSP alliance a challenge in repeating 2014 performance in UP and if so, they would have to take the vote share of the party from 44 per cent of 2o14 to 51 per cent in 2019. Instilling confidence in the partymen, the BJP chief supposedly assured them that the party would not only make it possible but would also increase the number of seats from 72 to 74 incoming in 2019. Imparting a pep talk to cadre, Shah claimed that there was hardly any threat to party prospects from any grand alliance in the upcoming battle, said the sources. He asked the partymen to be ready to get into the poll mode wholeheartedly after August 15. He, apparently, spelt out ways to make wholesome use to digital and social media tools to create a wave in favour of the party and PM Modi. He exhorted the party workers to counter the alleged canard being spread by parties like Congress and others against Modi dispensation emphatically. He asked the cadre to reach out the people to tell them about the benefits given to them by the government. People should be made aware that how Modi's leadership was being admired at the international level. Earlier, in Mirzapur, the BJP chief welcomed Centre's decision to increase the Minimum Support Price (MSP) of as many as 24 Kharif crops calling the decision 'historical' which would benefit the farmers in a way like never before. 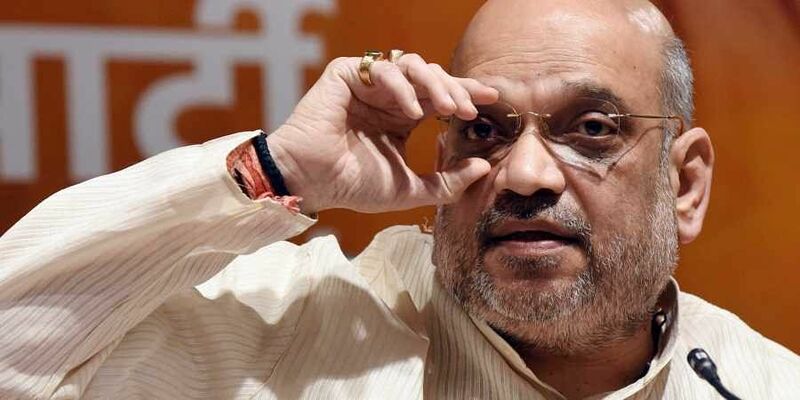 "No such decision had been taken by any government in seven decades since independence despite repeated demands by the farmers," Shah said while interacting with media persons in Mirzapur after having darshan of Goddess Vindhyavasini ensconced in the Vindhya range of eastern UP. Claiming that the Centre had been working for the cause of farmers right from the beginning, he counted many pro-farmers schemes introduced by Modi government during the last four years of rule. "It is a historical day for farmers. Nothing less than a Diwali for them," said Shah adding that it was a seven-decade-old demand fulfilled by the Centre. Shah held a closed-door meeting with over 80 'vistaraks' of the three regional units - Awadh, Kashi and Goraksh-- in which CM Yogi Adityanath, state BJP chief Mahendra Nath Pandey and deputy CM Dinesh Sharma along with over a dozen UP ministers and party's senior office-bearers participated.